Tuesday, Week 8: "We have given up everything and followed you." Memorial Day: "an inheritance that is imperishable, undefiled, and unfading"
Fortitude is the moral virtue that ensures firmness in difficulties and constancy in the pursuit of the good. It strengthens the resolve to resist temptations and to overcome obstacles in the moral life. The virtue of fortitude enables one to conquer fear, even fear of death, and to face trials and persecutions. It disposes one even to renounce and sacrifice his life in defense of a just cause. "The Lord is my strength and my song." "In the world you have tribulation; but be of good cheer, I have overcome the world." Thank You for the men and women who protect us and preserve Your gifts of life, country, and freedom at home and abroad, even at the sacrifice of their own lives. They and their families are the true heroes among us. Today we remember all those who have laid down their lives so that we can continue to enjoy the rights of life, liberty, and the pursuit of happiness. Let Your perpetual light shine upon them, and grant them eternal rest. Please send out Your angels to protect all who serve our country, and keep us free from injustice and harm. Through Jesus Christ, Your Son, Our Lord, who lives and reigns with you and the Holy Spirit, one God forever and ever. Amen. 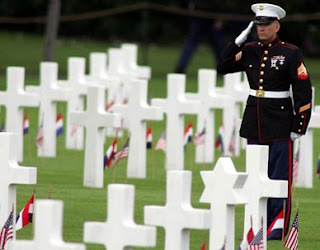 Memorial Day was first observed on May 30, 1868, when flowers were placed at the graves of Union and Confederate soldiers. On this day we honor all who have died in service of our nation. To help re-educate and remind Americans of the true meaning of Memorial Day, the "National Moment of Remembrance" resolution was passed in December 2000 asking all Americans at 3 p.m. local time "to voluntarily and informally observe in their own way a Moment of remembrance and respect, pausing from whatever they are doing for a moment of silence or listening to 'Taps'." 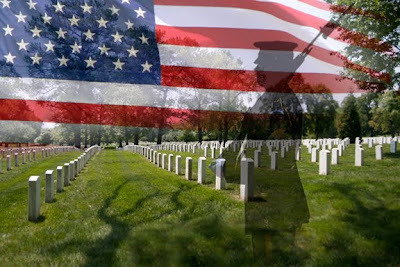 Visit cemeteries and place flags or flowers on the graves of our fallen heroes. Pledge to aid the widows, widowers, and orphans of our fallen soldiers, and to aid the disabled veterans. Best wishes for a Blessed Memorial Day especially to our deployed Military and their families at home! all speaking the same language, they have started to do this, nothing will later stop them from doing whatever they presume to do. Let us then go down there and confuse their language, so that one will not understand what another says." We are not free in order to do whatever we want to do, to love our pride or our desires. We are free in order to love the God who gave us our freedom in creating us. The story of Babel is told in order to explain the truth about our need for God and for His love. Only God has the power to bring unity, for God is authentic love and only His love brings authentic oneness. Pride is a lie, convincing us we can have love, that we can "make" unity, without God. Sin, whether of pride or another source, divides mankind and paves the way for false worship. "Lord, send out your Spirit, and renew the face of the earth." God's Spirit is the "new" reality upon the face of the earth. Each day we awake we find nearly everything is almost exactly like it was the day before. But there is one thing that can grow and become "different" each day: our love for God and our ability to receive His love, His gifts which come to us in their fullness through the Holy Spirit. I will soon celebrate my twenty year anniversary as a priest. It would be very easy for me to approach my duties as a priest, whether to celebrate holy Mass and the other sacraments, to teach and preach and otherwise sanctify God's holy people, as the same each time and to lose my fervor and joy. So that this misfortune will not befall me I must always keep in mind Who it is that I serve, Who has called me and the purpose of my vocation: the salvation of every one of you here present and, by extension together with Our Holy Father, our bishops and all priests, that of the world. What our Byzantine brothers proclaim is true also for us: the Holy Spirit "renews", makes new again, each day of life through the growth and grace He brings as the third Person of the Trinity. 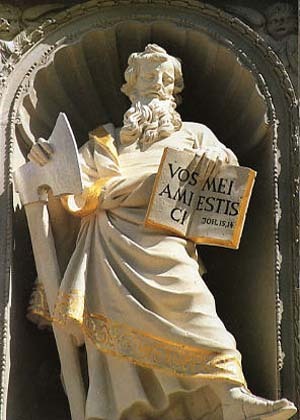 The "bath of rebirth" which is baptism and by which sins are forgiven for the human person for the very first time is meant to be renewed after subsequent sins over and over again through the Spirit's gift of forgiveness which comes to us through our ordained priests in the sacrament of Confession. 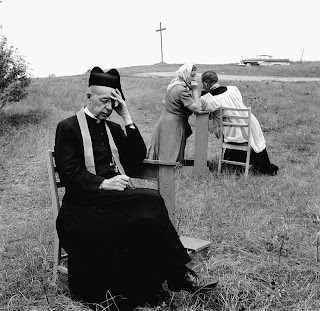 In particular we need the Sacrament after grave sins before we can again approach the altar for Communion. 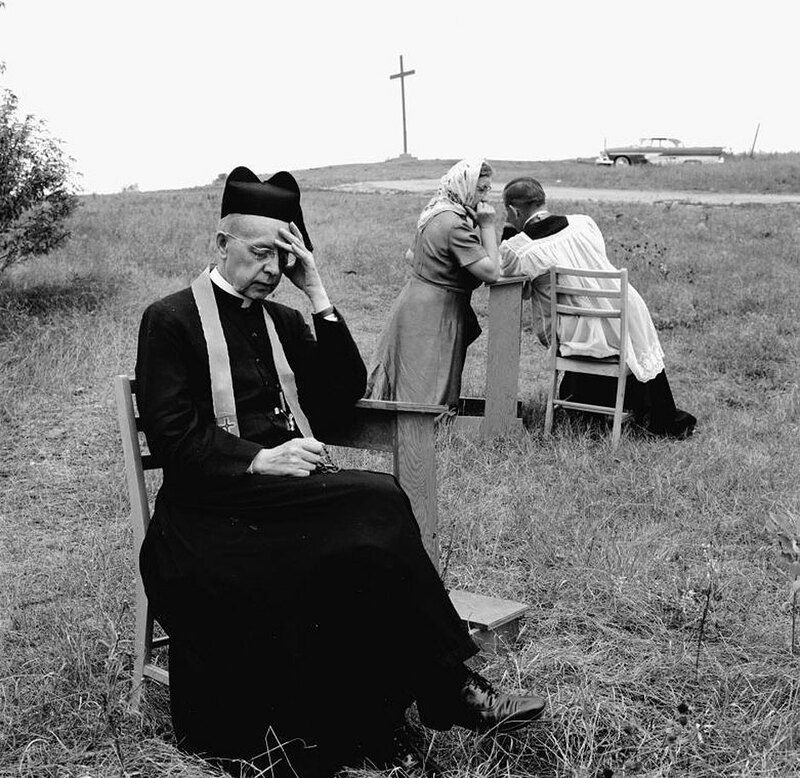 A most wonderful gift was given to me on the day of my ordination that I have shared with countless members of the faithful through the years: the ability to absolve from sin through the sacrament of Confession. Forgiveness from the grave danger and mortal peril of sin which can separate us forever from God and His love is given to the Church through the Holy Spirit, beginning at the first Pentecost. This is the one new thing in the world, new every day, the Person of Jesus in His priests forgiving the sins of the whole world and thus bringing the renewal of the Spirit over the face of the Earth! Friday, Easter Week VII: "do you love me more? " 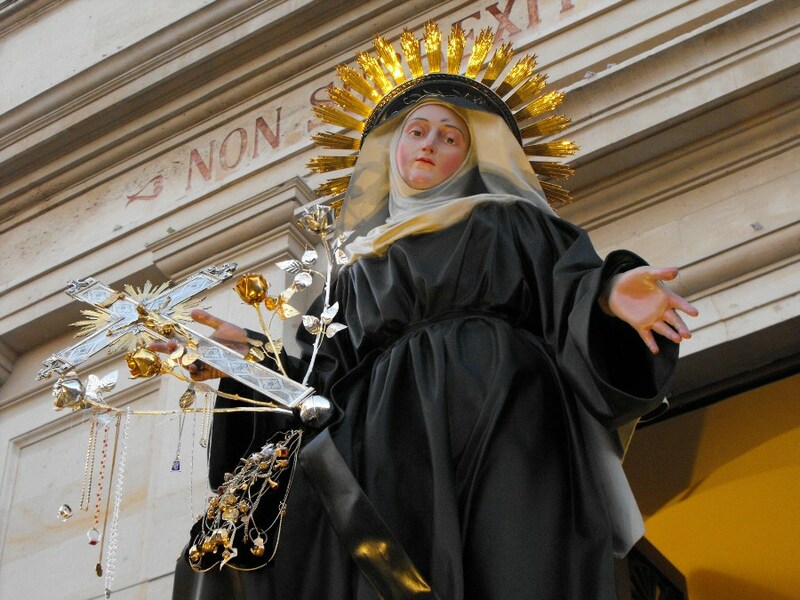 Thursday, Easter Week VII: "I have given them the glory you gave me"
Wednesday, Easter Week VII: "Keep watch over yourselves"
to share in the work of your Son. . . .
S Rita of Cascia: "I served the Lord with all humility"
S Christopher Magallanes and Companions: "each of you will be scattered"
In the world you will have trouble, but take courage, I have conquered the world." In every liturgical action the Holy Spirit is sent in order to bring us into communion with Christ and so to form his Body. The Holy Spirit is like the sap of the Father's vine which bears fruit on its branches. The most intimate cooperation of the Holy Spirit and the Church is achieved in the liturgy. The Spirit who is the Spirit of communion, abides indefectibly in the Church. For this reason the Church is the great sacrament of divine communion which gathers God's scattered children together. Communion with the Holy Trinity and fraternal communion are inseparably the fruit of the Spirit in the liturgy. Being is more important than doing. Our happiness now and eternally depends upon discovering this truth and finding ways to live it. So often today the most sacred things are reduced to a calculus of mere functionality. Show me what you can do, tell me your purpose, the world often seems to say, and I will show you your value. Marriage, for example, and the relationship uniquely possible for man and woman according to God's plan which holy matrimony enshrines within the grace of the sacrament of the same name, is so often described only in terms of the marital act, and that often in disparaging or degrading ways which removes it from the full context of the life which man and woman share in marriage, and in which they express their love for each other is so many ways, many of them spiritual, that we cannot enumerate them all so rich are the possibilities within freedom God grants to every human person. God, however, simply looks at us, the work of His hands, and sees His own image and likeness. For Him that is enough to prove our value. For God we are infinitely important because He made us to live forever with Him. 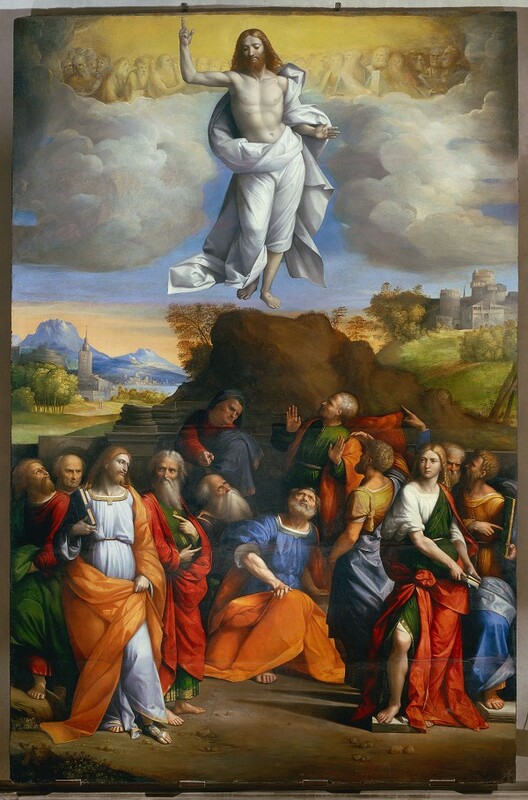 Today we celebrate the solemnity of the Ascension when Jesus returned to the right hand of the Father. What new thing does this mystery of our faith reveal to us? Our Holy Father Benedict XVI tells us that now, in Christ, "our humanity has an eternal place in God". Wonderfully, Jesus shows us the way to eternal happiness; where He has gone we hope to follow; He lives as our hope because we see Him where we one day all hope to be. In God there is never any struggle between being and doing. God is love: in Him being and doing are always in perfect harmony and balance for He IS love and He LOVES eternally and perfectly. Christ is God and in being at the right hand of the Father He continues at the same time to perfectly work on our behalf as Savior, interceding for us. In this holy Mass of Ascension He through grace incorporates us into His perfect work of sancitfying and redeeming. The word "Body" and the word "incorporate" both come from the Latin "corpus", for "body". Our bodies, through which we exist together with our souls, are brought more deeply into His saving divine love as we consume the Flesh of His Body in the holy Eucharist. Through the grace of this sacrament He brings unity to who we are and what we do: we love and are love in Him. In this way we look with confidence to our eternal reward, toegther with Him in the kingdom of heaven. In eternal life, God will be all in all. He who is perfect Love and who loves perfectly will seat us at His table and proceed to wait in us when the time of the Church and the Eucharistic banquet we now enjoy are no more. On that great and eternal day our happiness, ur joy will be complete for we will both love and be loved, who we are and what we do, will find eternal and perfect unity in God forever. The Church is now engaged in nine days of prayer which conclude at Pentecost when we celebrate and receive again the gift of the One who affirms our bring in God: His Holy Spirit of love. It is precisely the grace of prayer, fervent, regular and sincere, that opens for us the vista of faith which teaches who we are in Christ and thus what we do, which is love, now and forever. Praised be Jesus Christ, ascended to the right hand of the Father, forever and ever. Amen. Solemnity of the Ascension of Our Lord: "the day he was taken up"
... the exercise of his great might: which he worked in Christ, seating him at his right hand in the heavens, far above every principality, authority, power, and dominion, and every name that is named not only in this age but also in the one to come. And he put all things beneath his feet and gave him as head over all things to the church, which is his body, the fullness of the one who fills all things in every way. "Christ died and lived again, that he might be Lord both of the dead and of the living." Christ's Ascension into heaven signifies his participation, in his humanity, in God's power and authority. Jesus Christ is Lord: he possesses all power in heaven and on earth. He is "far above all rule and authority and power and dominion", for the Father "has put all things under his feet." Christ is Lord of the cosmos and of history. In him human history and indeed all creation are "set forth" and transcendently fulfilled. 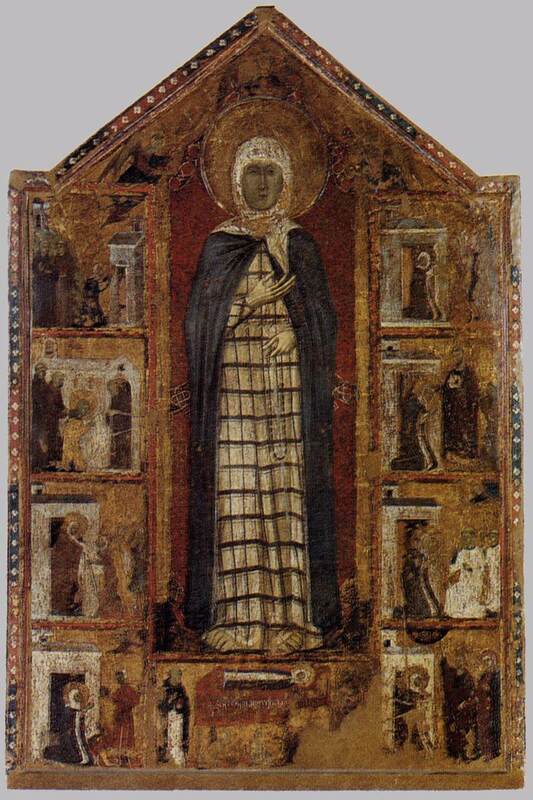 Also on this date: S Margaret of Cortona. S Margaret of Cortona: God "demands that all people everywhere repent"
Christ invites his disciples to follow him by taking up their cross in their turn. By following him they acquire a new outlook on illness and the sick. Jesus associates them with his own life of poverty and service. He makes them share in his ministry of compassion and healing: "So they went out and preached that men should repent. 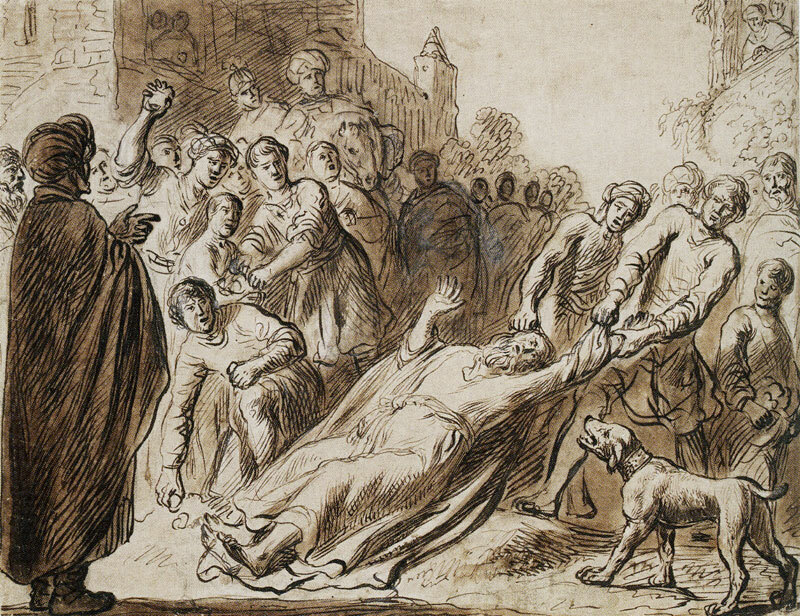 And they cast out many demons, and anointed with oil many that were sick and healed them." "Amongst those various offices which have been exercised in the Church from the earliest times the chief place, according to the witness of tradition, is held by the function of those who, through their appointment to the dignity and responsibility of bishop, and in virtue consequently of the unbroken succession going back to the beginning, are regarded as transmitters of the apostolic line." Thus the risen Christ, by giving the Holy Spirit to the apostles, entrusted to them his power of sanctifying: they became sacramental signs of Christ. By the power of the same Holy Spirit they entrusted this power to their successors. This "apostolic succession" structures the whole liturgical life of the Church and is itself sacramental, handed on by the sacrament of Holy Orders. Ss Nereus & Achilleus and S Pancras. "all things have been handed over to me by my Father"
"no one knows the Father except the Son and anyone to whom the Son wishes to reveal Him"
Friday, Easter Wk V: "love one another"
Our Father "desires all men to be saved and to come to the knowledge of the truth." He "is forbearing toward you, not wishing that any should perish." His commandment is "that you love one another; even as I have loved you, that you also love one another." This commandment summarizes all the others and expresses his entire will. 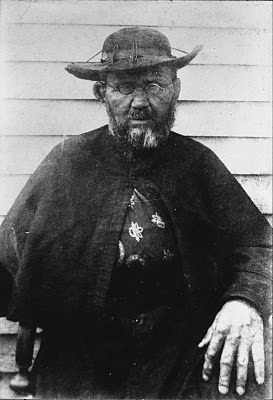 S Damien of Molokai: “When the Advocate comes"
... whom I will send you from the Father, the Spirit of truth who proceeds from the Father, he will testify to me. When he proclaims and promises the coming of the Holy Spirit, Jesus calls him the "Paraclete," literally, "he who is called to one's side," ad-vocatus. "Paraclete" is commonly translated by "consoler," and Jesus is the first consoler. The Lord also called the Holy Spirit "the Spirit of truth." Wednesday, Easter Wk V: "I am the true vine"
Tuesday, Easter Wk V: "It is necessary for us to undergo many hardships"
Monday, Easter Wk V: "Whoever loves me will keep my word"
First Friday of May: "Do not let your hearts be troubled." S Athanasius, Bishop and Doctor: "no one can do these signs"
that you are doing unless God is with him. Christ stands at the heart of this gathering of men into the "family of God". By his word, through signs that manifest the reign of God, and by sending out his disciples, Jesus calls all people to come together around him. But above all in the great Paschal mystery - his death on the cross and his Resurrection - he would accomplish the coming of his kingdom. "And I, when I am lifted up from the earth, will draw all men to myself." Into this union with Christ all men are called.